Is the following hadith authentic about going to Jummah early? Marrying someone who does not share the same culture as me. How should ruju be done if my husband wants to revoke the one divorce that he gave me? When is a woman obliged to perform istinja if she feels madhy? When do I start praying qasr? What should be read loud and silently in prayer? Is it permissible to work in a company that earns interest? Is it permissible to eat at restaurants where alcohol and haram food is served? © 2018 Darul Ilm Birmingham. Charity No: 1164396. All Rights Reserved. All content on this website is the property of Darul-ilm and protected under international copyright laws. Use of any such material without permission is prohibited. 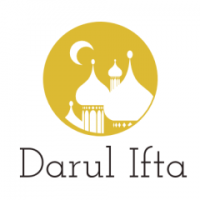 Daruliftabirmingham.co.uk is independently owned and operated by Darul-ilm. The views expressed by the guest scholars, including Mufti Tosir Miah are based on academic understanding and research. Disclaimer: Please note, Darul Ifta Birmingham is not a Islamic Shari’ah Law Court; hence, the opinions provided by us are not intended to be a ruling as one would expect to receive from a Shari’ah Court. The aim is to provide a better understanding of issues from an Islamic perspective. We also take no responsibility if our answers are used out of their intended context, nor of any party who may or may not act upon them. The Darul Ifta Birmingham being hereby exempted from loss or damage howsoever caused.